David Ross Lawn is a talented musician and composer who grew up in Scotland, where he began playing piano at the age of nine. He obtained a Bachelor of Music degree at the University of Aberdeen and his Master degree at Westminster Choir College in Princeton, New Jersey. 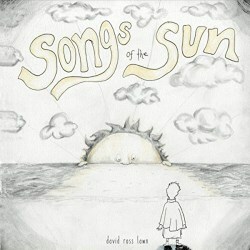 David currently lives in New Jersey and travels and performs regularly in the U.S. and abroad. This is his debut album, a collection of four original compositions, performed solo on a Steinway grand piano. Rising begins as a slow, gentle treble melody of three repeating notes, signifying the breaking of dawn, then evolves into dynamic arpeggios as the sun slowly rises. Flying, Floating, Falling is light and airy, picturing a tiny seed drifting in the breeze, floating aimlessly before finally returning to earth as the music crescendos to a climax. Sanctuary is a slow, meditative number with a single stately left hand chord per phrase, supporting another simple repeating melody. A Conversation Between Lovers follows a similar pattern, single left hand chords supporting slow and repeating right hand note patterns. The music in this album is thoughtful, restful, enlightening and well-played. On the down side, it is a very short album, under thirteen minutes, and the songs are all very similar in style, composition and performance. The sound quality is excellent. There is no booklet, liner notes and comments are included on the disc cover.